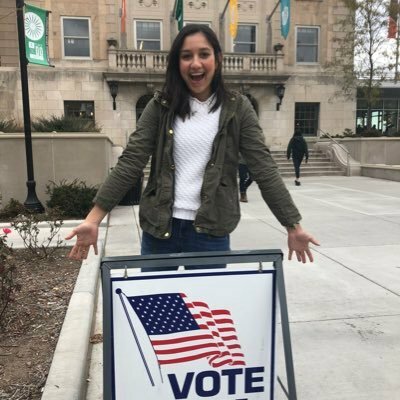 An Indian-American student in the University of Wisconsin, won her race for the Madison City Council April 2, when the city held general elections for mayor and all 20 city council seats. She defeated Matthew Mitnick, also a Freshman at UWisc. Both Reddy and Mitnick are described as “Nonpartisan” when they were running. Reddy secured more than 53 percent of the vote to Mitnick’s close to 44 percent, according to Ballotpedia. Reddy ran “to bring representation in city government to young people, people of color, women, and anybody that agrees that Madison should work for all of us,” her election website says. Her agenda included supporting affordable housing district wide so that students of all incomes are able to afford to live in the 8th District; supporting expanded bus schedules so people are able to get around the city late at night, free from fear of attack; supporting sustainable infrastructure in Madison and being a leader nationwide in the movement towards 100% renewable energy. “Our campaign is built first and foremost on students coming together and working together on issues we can all agree on. It’s not about any one candidate; it’s about creating a sustainable movement to represent us,” Reddy’s site says. The 8th District of the city that she now represents, includes 19 UWisc residence halls, and both Reddy and Mitnick believed it should be represented by someone from the university. In a Q&A on Madison.com, Reddy noted she would be the first woman to represent her campus on the city council in the last 26 years. She pledged to hold “regular listening sessions” and said the greatest challenge facing the city and district was making sure the growth of the past decade benefits everyone, making campus living more affordable for poorer students. “I will promote equitable, pro-density housing policy to encourage affordable rents and access to mass transit, as well as support public safety initiatives, including and not least of all, support the city’s goal of 100 percent renewable energy use. “This campaign was never about one person—it is the start of a political movement. I am extremely proud of our work throughout the campaign and the work that we are about to begin,” Reddy said. In an interview published in the Badger Herald December 11, 2018, Reddy indicates she felt nervous about the possibility of working with more experienced lawmakers and public officials. But it was a “good type of nervous” she said, equating her situation with that of New York Congresswoman Alexandria Ocasio-Cortez, who won an upset victory during the Democratic primaries, defeating long time Congressman Joe Crowley. She was not new to campaigning when she launched her bid. She first got engaged in national politics in 2016, working for the Democratic Party of Wisconsin, and in 2018, during the midterms, again worked with Democratic candidates. Reddy and Mitnick ran in a seat held by Alderman Zach Wood who was first elected when he was a senior at UWisc, according to Badger Herald.